Yesterday I spent the day at the Walthamstow Garden Party wearing my UP hat. It was a great opportunity to reach out into society and have meaningful conversations with people about their pain and suffering. 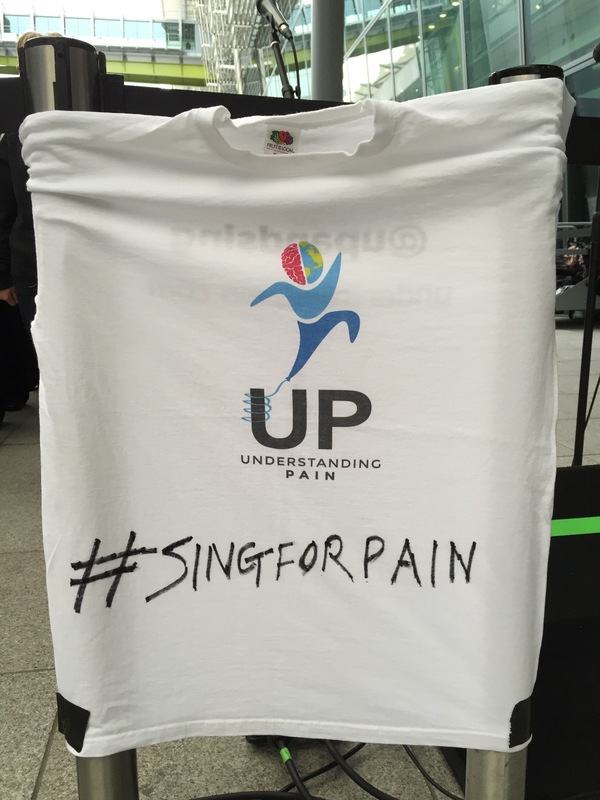 I think it is fair to say that the misunderstanding of what pain really is remains a hugely impacting problem. This misunderstanding is a barrier to individual’s realising their potential. This is the focus point for UP. 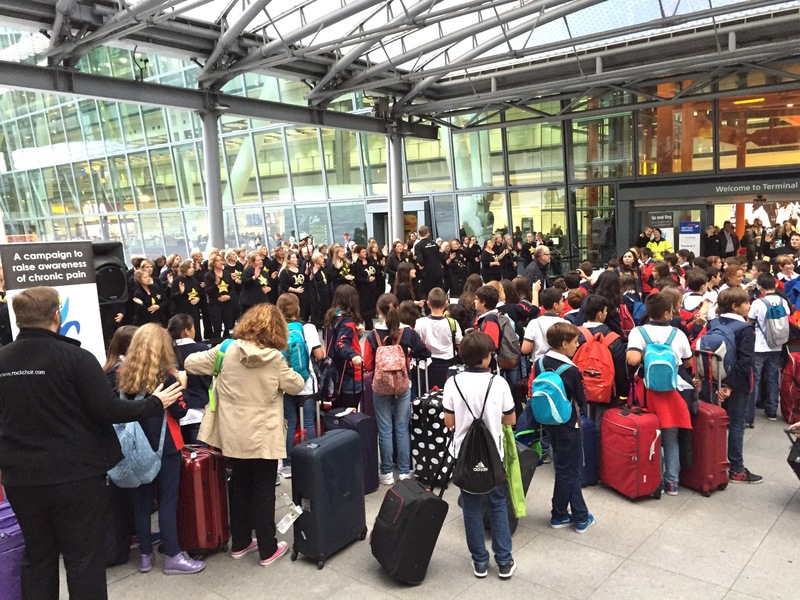 Talking to many people over the day, the conversation with the founder of an organisation dedicated to improving the lives of young people stuck in my mind. Engaging with a local community project, Leaders Community, I felt that this is exactly where UP needs to deliver work that inspires and empowers people. Where could be more potent than in their very own environment? The Health Zone where we were based had a range of excellent projects on show. This included Bart’s Sexual Health Team, Positive East (free HIV tests), and Waltham Forest CCG (project on how teens and young adults want to be engaged by healthcare). We were very pleased to meet the Mayor, Cllr Yemi Osho, and Council Leader Clare Coghill at the tent. The Party was full of enterprise. From food stalls, to crafts, to dance, to poetry and music, the beautiful park was brimming with the joyous atmosphere of bringing people together. The day was truly inspiring. Seeing businesses flourishing and being supported by each other, the environment and the people they serve was tremendous. UP felt very much at home within this spirit of cohesion, when society is working at its very best. Pain is a social problem and a public health issue. It will be society’s cohesion and togetherness that will see the vital change we need to ease the current unnecessary levels of suffering. 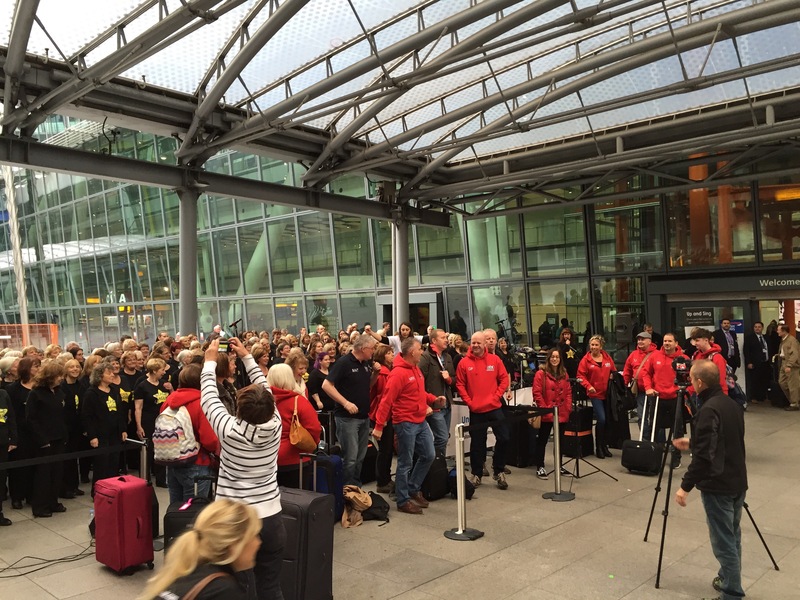 Where better to engage people than in their own community. The Understand Pain and Pain Coach Workshops for people suffering chronic pain can be delivered right there, where they are most needed. UP aims to partner with primary care trusts, CCGs, GP practices and others to deliver workshops to both clinicians and people (patients — I prefer ‘people’). Conversations yesterday can lead to actions to results, those being people leading meaningful lives, contributing to society as they can. Now I am working on converting the talk to purposeful action. 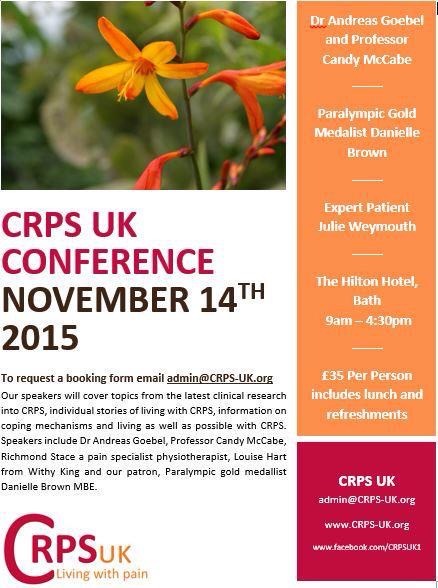 Here’s a quick reminder about the CRPS UK Conference that is coming up on 14th November in Bath, when there will be some fascinating talks from leaders in the field — see the flyer for details and booking. I will be discussing practical elements of blending pain science and philosophical thought within a coaching model, a concept that I term ‘Pain Coach’, accompanied by Georgie from UP and Jo Moffitt who will both be sharing their experiences of CRPS. Our session aims to show you how we can go about changing pain and resuming a meaningful life with the right thinking and action, based on understanding pain. 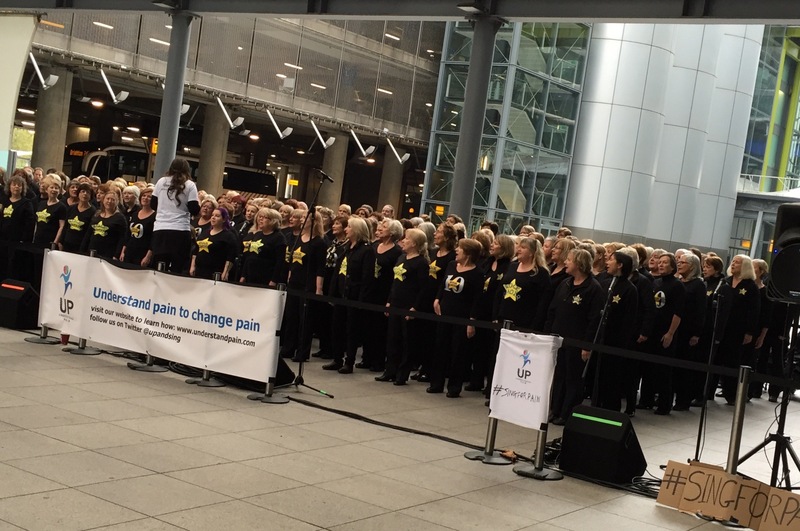 The CRPS UK conference will be on the back of our next UP event, which is on Saturday at T5 London Heathrow, where an even bigger choir will be singing out all day to raise awareness of the problem of pain. We will be filming the event and putting out the footage so that you can enjoy the music — music being such an uplifter.